Modchecker is a very simple Anti-Cheat mod to stop people with unwanted mods joining a server. Modchecker scans a player's mods folder and checks it against a whitelist that can be modified by you. If it finds a mod that is not on the whitelist, it will kick them from the server. After kicking the player, Modchecker will then print a log with the mods the player tried to join with and their name. All logs will be saved in the illegal client folder. You can then chose to add the mod to your whitelist to allow the player to join with that mod. Not by any means, but it will be a huge help in stopping people from joining your server with a mod such as X-Ray. It will block any unknown Forge mod and the 1.12 version will also block lite loader mods. It has no way of knowing if someone is using an X-Ray Texture Pack. These should be able to be blocked by a simple plugin. Mirage if you're using Sponge and Anti Xray or Orebfuscator for Bukkit/Spigot. You will need Modchecker to be both server side and on the client. This video will guide you through how to get the mod working. You can use this mod in your modpack, but you must give credit to GameGunner5 and myself (SleepingTea) and link back to this page. Do I only need the mod client side if I want to configure my server or do I need it in general. So I must provide this mod with a mod pack? You will need the mod on the client as well. Is it necessary for you to number them? Otherwise I just could copy and paste the right modlist from my first "illegal" attempt to connect to my server. Please. You need to make sure that the mod whitelist is also in the client. 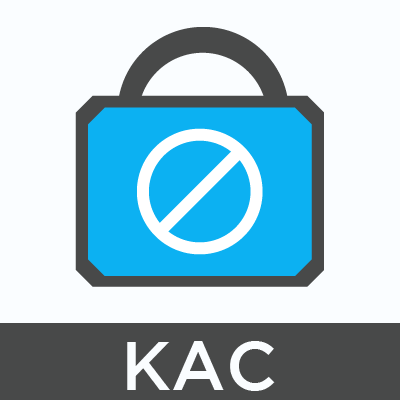 This mod is a great element to have as *part* of one's overall anti-cheating security measures. I've had a very positive experience with it so far and I wholeheartedly recommend it. Note: Running as part of my Bungeecord network on a Forge/KCauldron server on my custom Launcher/mod pack. 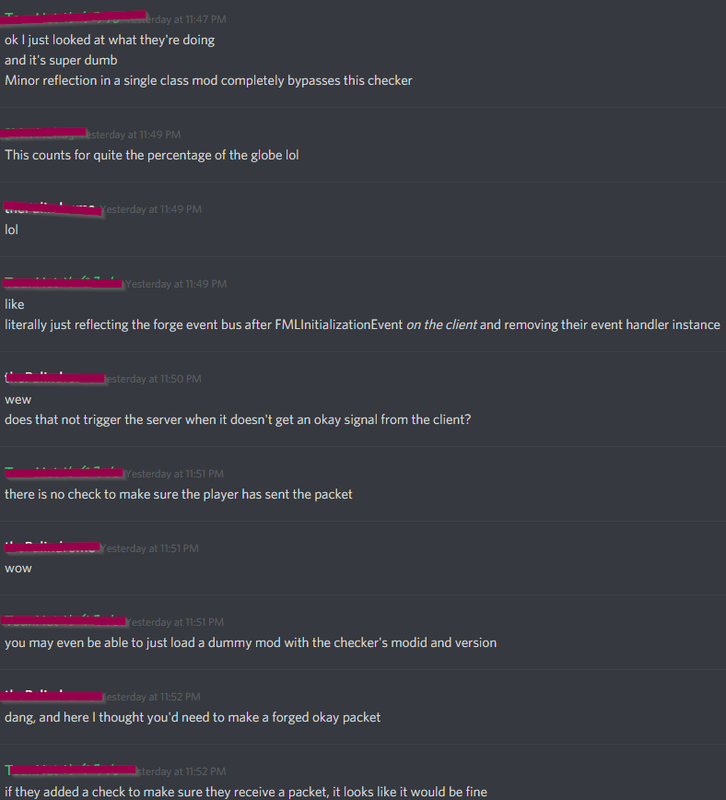 I asked about using this mod on one of my modded discords and this was the response....thought you might find this helpful in making this mod even more useful to server owners...Cheers! Like it says, we don't claim that it is foolproof.